Luther Season 3, starring Idris Elba, reviewed: Even if you’re not caught up, you shouldn’t miss it. Idris Elba is back in another unsettling season of Luther. 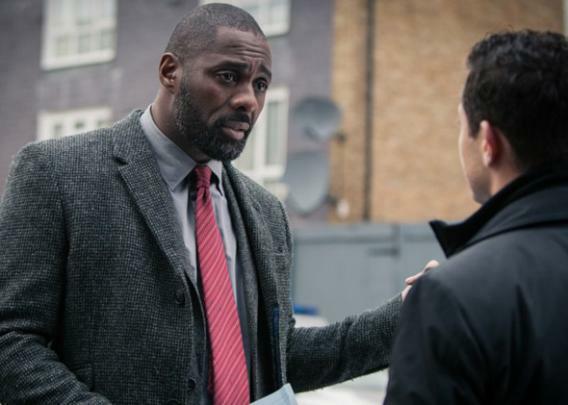 Luther, the British detective drama starring Idris Elba as a procedure-flouting copper investigating seriously grisly homicides, returns for its third season Tuesday night on BBC America. I recommend watching with every single light in your house turned on. Luther’s criminals are no more savage than the ones found on TV’s innumerable other gruesome murder shows, and the series doesn’t feature Tarantino-esque splatters of red, but it is uniquely unsettling. Creepy sequences from this four-episode season, airing every night for the rest of this week, include a gnarled, elderly serial killer, looking like he walked right out of Munch’s The Scream, explaining that his shoe fetish stems from the relationship between foot-binding and vaginal strength; a grieving father taking off his hand with a blender; and a terrifying opening scene that made me as scared of the monsters under my bed as any 5-year-old. Luther is a great example of all of the annoying a TV show can do and still be worth watching, so long as it gets some essential things right. Luther’s saving graces are that intense, gloomy mood and Elba’s performance. No one has ever strutted with quite as much gravitas as Elba, a loose cannon in an impeccably tailored topcoat. Like any compelling fictional cop, he’s believable being super threatening or super protective, though hardly anyone, fictional cop or otherwise, is as alluring being either. Elba is far enough removed from playing Stringer Bell on The Wire that his John Luther does not suffer from the comparison (though there will always be “somefing” a little magical about hearing Stringer speak with his native British accent), but both Stringer and Luther share a keen dispassion, always coolly clocking a situation even as they get violent. Luther is the kind of guy who can hold someone over a balcony, screaming, without ever seeming quite out-of-control. Season 3 picks up where Season 2 left off, but encyclopedic knowledge of the previous seasons is not required, and may even interfere with appreciating the plot’s twist and turns. Luther has a tendency to repeat itself. John Luther is a good police officer with a flexible code of ethics who regularly runs afoul of misguided authority figures. Each season Luther solves some heinous crimes by massaging the rules, but the truly “Oh, jeez, this again?” moment comes when he’s invariably suspected of committing some heinous crime himself. Luther can be self-aware about its repetitions—there’s a gag in the final episode about John’s love of that fitted topcoat—but it would be better still if they didn’t exist. Luther is also the latest show to feature a storyline in which a vigilante-murderer sets up an online presence, like a live stream of one of his victims slowly expiring or a survey requesting public participation in some act of mayhem. (The Bridge has been doing a lot of this lately.) But on Luther, when the vigilante finally gets around to staging a very public hanging in front of a rabid crowd, somehow the only cops on the scene are Luther and his partner—which is very dramatic, but does not make much sense. Luther doesn’t sweat the plausibility of this sort of detail because the implausibility makes John Luther seem so badass and dashing, a man who can hold off a mob with just his fists and good intentions. I rolled my eyes a little, but just a very little; it is really hard to scoff at John Luther.